Advice Home > Alzheimer's > Can Marijuana Help With Or Prevent Alzheimer's Disease? Cannabis or marijuana is still the controversial kid on the block in the medical community. However, there's no denying that, over the years, it has gradually gained traction as a possible treatment for a great number of chronic and other diseases, including Alzheimer's. Thousands of studies have been conducted, most of them in laboratories and on animals, and many of the results are promising. Hemp and cannabis or marijuana are plants from the species Cannabis Sativa. They have different uses and applications, but for this article, we will focus on marijuana/cannabis only. 'Marijuana' is considered a derogatory word in many circles, but it certainly doesn't deserve the bad rap it still gets. Let's look at the medicinal properties of this plant, and how it can help with the management and treatment of Alzheimer's disease (AD). 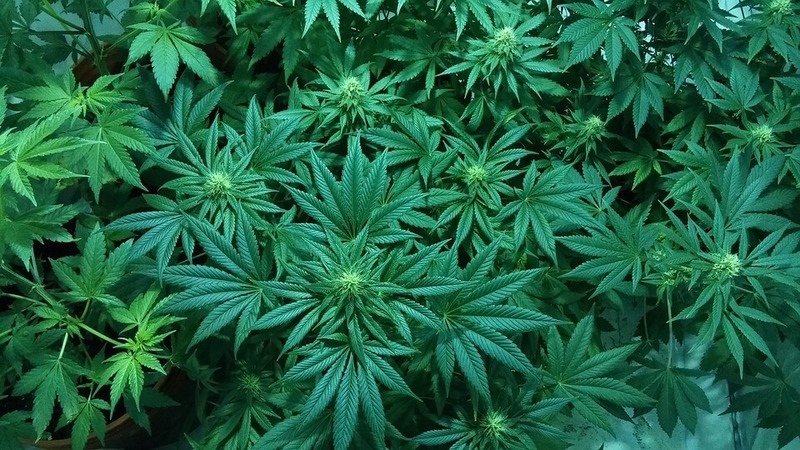 So…Can Marijuana Help With Alzheimer's? In short, yes, most data certainly suggest that. One study published in the Journal of Alzheimer's Disease concluded that "…THC could be a potential treatment option for Alzheimer's disease through multiple functions and pathways." THC, or tetrahydrocannabinol, is a cannabis-derived compound or chemical. There are over a hundred active compounds to be found in the plant, and they are referred to as 'cannabinoids.' However, THC and cannabidiol (CBD) are the most well-researched cannabinoids. At this point, they seem to be the two with the most health benefits, but recent studies indicate that there may be others. In one study, it was shown that minute doses of THC could slow down the production of amyloid-beta (Aβ) protein in the brain. Aβ protein has been found to be the main component in toxic plaques that grow in and clog the brains of Alzheimer's patients. They are also associated with brain-cell death, which causes the cognitive decline characteristic of the AD. This process seems to start long before the first symptoms of the disease make their appearance. Another 2016 California-based, in vitro study conducted by the Salk Institute for Biological Studies, has demonstrated that THC, among other cannabinoids, may not just slow down but even remove a significant amount of Aβ protein from brain cells. The study also showed that cannabinoids could counteract inflammation in nerve cells and prevent associated brain cell death. In this sense, THC may have a protective role to play in the prevention of Alzheimer's and other brain degenerative diseases. According to Antonio Currais, post-PhD researcher and first author on the paper, this is an important finding. He makes a noteworthy point - "THC-like compounds that the nerve cells make themselves." This brings us to one of the fascinating aspects of cannabis and the plant's health benefits to the human body. Despite marijuana's subjective association with drug addiction and long-haired, unwashed hippies, our bodies curiously seem to be designed to benefit from these miraculous compounds to create their cannabinoids specifically. Each of us has a system called the endogenous cannabinoid, or endocannabinoid system in our bodies. It was named after the plant that leads to its discovery, and one doctor, Dr. Bradley Elgar. Called this "one of the most important physiologic systems involved in establishing and maintaining human health." For this reason, it is well worth investigating, and not only for the treatment or management of Alzheimer's disease. Cannabis has been used as a medicine for almost 5000 years in especially the Far East, and in Indian communities. However, the endocannabinoid system was only discovered in 1998 by Lumír Hanuš, a Czech analytical chemist working in the Hebrew University of Jerusalem, Israel. He isolated the first cannabinoid in the human brain and, together with his colleagues, called it 'anandamide. 'This is the Sanskrit word for joy and bliss. His finding was proof that the brain produces cannabinoids of its own. The endocannabinoid system has two kinds of cannabinoid receptors in cells found throughout the body - CB1 and CB2 receptors. These cells are mostly concentrated in the brain, the central nervous system, the immune, and the digestive system. Cannabinoid actions and functions are superbly complex, but in the article mentioned above, Elgar notes that "endocannabinoids are a bridge between body and mind." He is of the opinion that by understanding the endocannabinoid system, we would be able to see a mechanism that could "connect brain activity and states of physical health and disease." 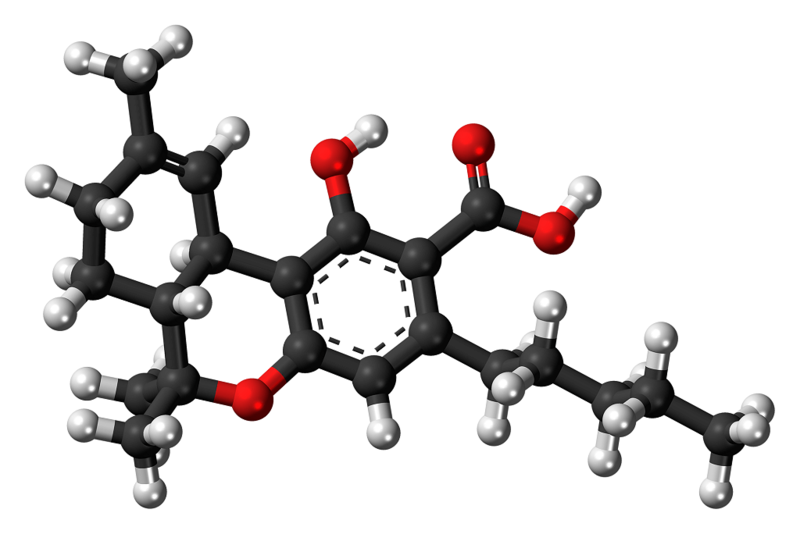 So, back to marijuana-derived cannabinoids. As mentioned, two have been well studied, and they have diverse actions in the body. THC is the compound best known for binding with CB1 receptors and causing the well-known 'high' when cannabis is ingested or smoked. It also seems to have indications for the treatment of neuropathic pain, nausea, anxiety, and anorexia. In 2015, a Netherlands-based randomized, double-blind, placebo-controlled study was conducted to determine the effects of THC on dementia-related symptoms such as aggression, anxiety, depression, insomnia, and hallucinations. Alzheimer's disease is one form of dementia. It was found that the twenty-four patients who received 1.2 mg of THC three times a day showed no difference compared to patients taking a placebo. On the other hand, in another study, THC seemed to have the opposite effect. 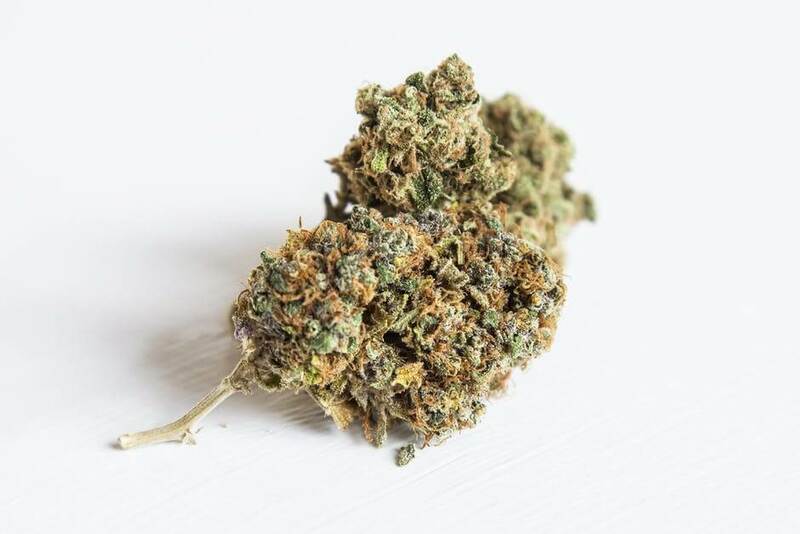 The Sackler Faculty of Medicine at Tel-Aviv University, together with the Department of Psychology at Bar-Ilan University, conducted a small study on this cannabinoid's effect on dementia-related symptoms. 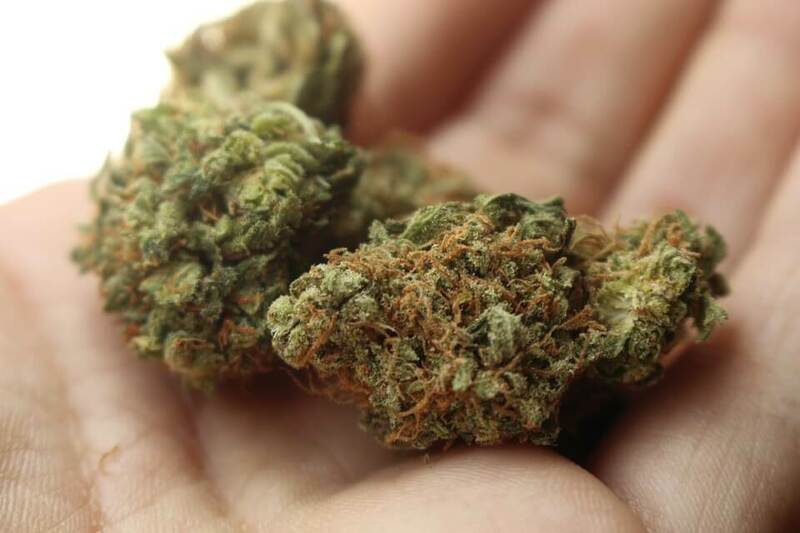 Their finding was that THC in medical cannabis oil (MCO) significantly decreased delusions, agitation or aggression, irritability, apathy, sleep, and even caregiver distress. The doctors stated: "Adding MCO to AD patients' pharmacotherapy is safe and a promising treatment option." Why these diverse findings? One reason could be that the first study may have been conducted with pure THC, while in the other, the patients ingested medical cannabis oil. Why is this important? While THC on its own is impressive when working together with cannabidiol (CBD) and other compounds found in whole-plant oil, its effects are vastly amplified. This is called the 'entourage effect.' This warrants a closer look at CBD, THC's less controversial brother. Cannabidiol is, as mentioned, one of over 100 active cannabinoids in marijuana, and it differs greatly from THC in more than one way. The most prominent difference is that ingesting pure CBD will not give you the hallmark feelings of euphoria and intoxication. It binds to both CB1 and CB2 cell receptors in the body, but its chemical and metabolic action differs greatly from THC's. Interestingly, it seems to inhibit THC's psychoactive effects, but so far, CBD has been best studied for its effects on epilepsy. In fact, a new anticonvulsant drug with CBD may soon be approved by the FDA. The industry speculates that this may open doors for more robust, human-subject clinical research on the benefits of CBD and increase the availability of cannabis as a medicine. CBD has also demonstrated strong anti-inflammatory and antioxidant properties in many animal studies. In a 2017 review of the latter, the researchers concluded that all the studies provide "proof of principle" that CBD, and possibly CBD with THC, are "valid candidates" for new Alzheimer's therapies. They suggested that further investigation should address the long-term effects of CBD and evaluate the mechanisms involved in its therapeutic effects. Remember amyloid-beta (Aβ)? In a 2005 study performed on mice, CBD's strong action against Aβ-associated neuroinflammation was confirmed. Again, the researchers stressed that this could offer a novel treatment not only to manage Alzheimer's but perhaps to reverse it. But Isn't Cannabis/Marijuana Bad For You? Marijuana or cannabis have largely been demonized for the euphoric high associated with THC intake. Sometimes, this is also associated with feelings of paranoia, and people with a diagnosis of schizophrenia are strongly advised to avoid using any whole-plant preparation. Different strains of the plant also have different psychoactive effects. There is also concern that especially smoking the flower could give rise to addiction, and marijuana is often labeled a 'gateway' drug. This means that once a person uses it, it will greatly increase their chances of using other, much more harmful drugs like heroin, LSD, etc. There is evidence that addiction may be a risk for especially men who use it early in life. However, this is not true for every person. As the National Institution on Drug Abuse points out, most recreational and medicinal marijuana users never progress to use the "harder" substances, and so-called 'cross-sensitization' is not unique to marijuana. It states: "Alcohol and nicotine also prime the brain for a heightened response to other drugs and are, like marijuana, also typically used before a person progresses to other, more harmful substances." It depends on the person. Therefore, dismissing marijuana or cannabis to treat or prevent Alzheimer's disease simply based on its potential to be addictive would be a pity, and perhaps even unwise. Much more clinically and statistically relevant study is needed before cannabis will be fully accepted in the medical and general community, but its potential value is, by now, indisputable. No person who has dementia or Alzheimer's disease should use CBD oil or any other cannabis product without consulting with their doctor first. If you need to deal with marijuana use, or if you need help to deal with Alzheimer's disease, or the stresses related to caregiving in Alzheimer's care BetterHelp could be the platform you are looking for. Discreet assistance is available in the safety and privacy of your own home, so get matched with the right therapist right away.